Hi, my name is Carl Townsend and I am the Competition Coordinator of Pacific Gravity Homebrewers Club and the Organizer of the 2017 Pacific Brewers Cup. Pacific Brewers Cup is hosted annually by one of three homebrew clubs on a rotating basis, with this year’s competition being hosted by Pacific Gravity. 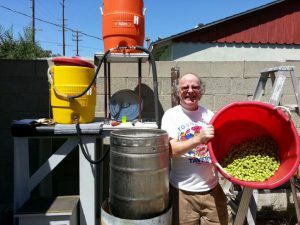 We are taking over the reins from last year’s fantastic hosts the Long Beach Homebrewers Club and the fine performance in 2015 by Strand Brewers Club. We hope to build on the momentum gained from last year’s event and make this one of the best Pacific Brewers Cups ever. We have a solid group of volunteers from our homebrew club pitching in to help organize this year’s competition to make sure that your beers get the best possible representation in the competition. Homebrew competitions should be equal parts competition and learning experiences. We are looking for the best experienced judges to make sure that your entry is judged properly and you receive great feedback on how great your beer/cider/mead was. We will be using the 2015 BJCP style guide for the 3rd year now, with its expanded new varieties. As you can see, I love my modern hoppy ales. But we will cover the entire gamut including the old and trusted styles with equal zeal. Our judges promise to give you’re the best possible feedback on how to improve your brewing practices. After all, our judges find few pleasures in life finer than finding that perfect beer. And what better way to get more of them than to provide each and every brewer with their best possible comments. So, get out there, start brewing, and submit your beers to Pacific Brewers Cup 2017! Good Luck, and thanks for visiting the website!